Whether you plan on launching a small or a large business, you should focus on getting optimum accounting services that allow you to manage your finances successfully. From the very beginning, you will find a pressing need of managing various accounting formalities such as recording incomes and expenses, generating invoices and managing payrolls. 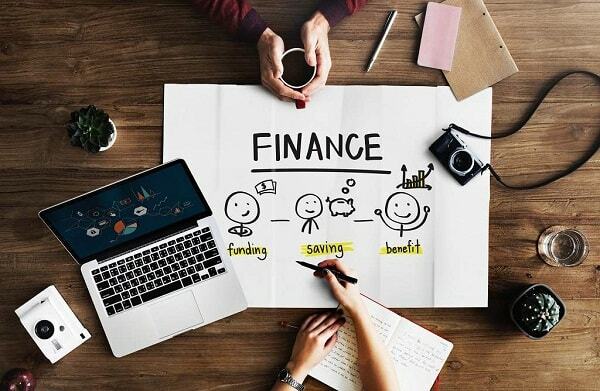 It is extremely important to have a good accounting plan that can be useful for managing your finances from the very outset, instead of catching up later through retroactive recording after you have started working on your business full-time. Additionally, delays in accounting for startups can mean delays in paying and filing taxes (many of which are monthly), which can lead to many larger problems for your business. There are certain essentials of accounting for startups that you should consider in order to enhance the operational efficiency of your business. The first thing that you will have to decide on is the method of accounting that will be most suitable for your business. Every business is different and so what may suit some company may not suit your own. There are numerous methods of accounting for startups that you can choose from, such as cash based or accrual based. You can record your revenues and expenses as soon as there is a physical exchange of cash or do the same as soon as a transaction takes place despite the mode of payment. The other thing that you will have to decide at the onset is the method that you will use to keep a record of all your transactions. For instance, you can easily go with an electronic system for keeping track of all your finances. Alternately, if you think that your business is really small and you can easily do with simple handwritten techniques, then you can manage all your financial recordings in pen and paper. If you go for electronic accounting, you should keep in mind that it incorporates desktop software systems as well as cloud-based accounting techniques. Handwritten accounts are quickly going out of use because they simply do not have the flexibility, accuracy and ease of software-based accounting. The other thing that can greatly determine the outcome of your accounting efforts is the accounting personnel that you are going to hire for managing your company’s accounting needs. Determining the responsibility for all your accounting tasks can greatly determine the success of your business organization. While certain business owners prefer to manage their accounting paperwork and financial responsibilities all by themselves, there are others who prefer to hire specialists who can do all the accounting work for them. For most startups, hiring an accountant is seen as an unnecessary expense because there may not be enough work to keep the accountant occupied full-time. Instead, outsourcing the accounting for startups to a team of dedicated accounting professionals can be greatly helpful. Outsourcing gives your business a fixed cost along with better caliber accountants who execute such work on a daily business for many companies. Outsourcing companies already use the accounting software and tax systems and are built on the principles of accuracy, service and reliability. Additionally, there can also be many times in your business life cycle where you will need to make critical decisions that can make or break your business. In such cases, the data and information that your accounting experts can provide you with may work as a great asset for your enterprise. Keeping regular track of your income flow and expenditure is crucial for the success of your business. Therefore you should put special emphasis on accounting and make sure that you have the best accounting personnel and software at hand that can make it easier for you to run your business.